Mandy Moore may have gotten her start as a ’90s teenybopper, but she’s actually gone on to create an impressive portfolio of work. Mandy has since jumped to the small screen with her latest show “This Is Us,” and as it turns out? Her latest project is pretty good. So good, in fact, the actress is receiving recognition for it. Mandy was recently spotted at the 10th Television Academy Honors held at the Montage Hotel in Beverly Hills, celebrating her work on the show. Mandy Moore at the 10th Television Academy Honors held at the Montage Hotel in Beverly Hills on June 8, 2017. Mandy shined on the carpet in a Lela Rose dress. Mandy continued her gorgeous red carpet style streak in a glitter fabric dress by Lela Rose. The geometric black side panels made for an interesting contrast to the all-over gold glitter pattern of the dress. 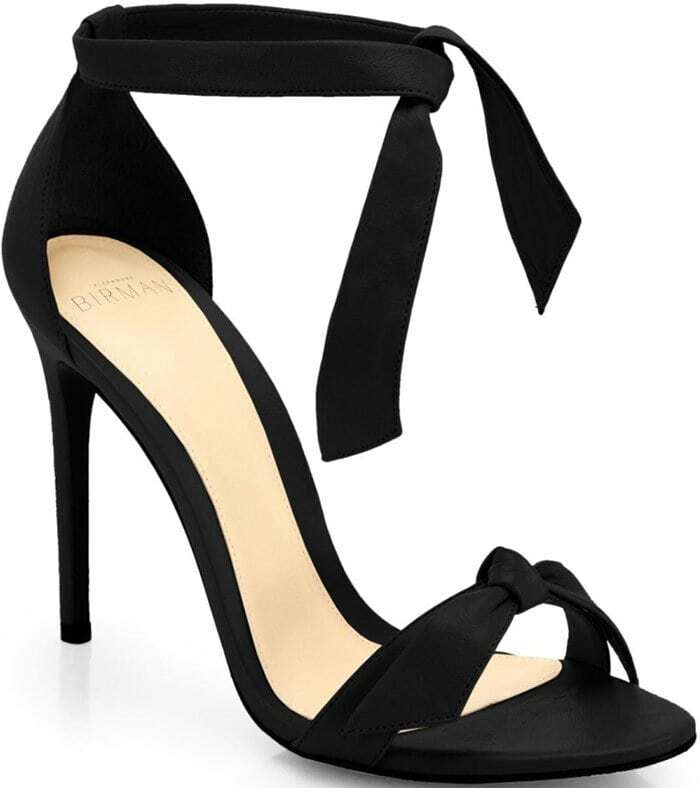 The actress echoed the stark contrast with the Stella Luna “Gabardine” sandals in black suede that you can buy at Farfetch and Barneys New York. 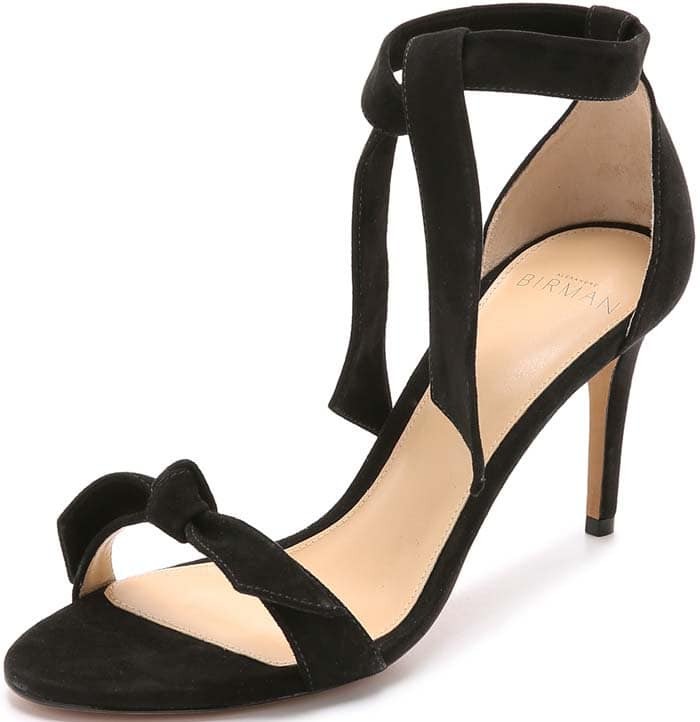 Isla Fisher is another fan of these shoes! Mandy finished her look with jewelry from Fernando Jorge. Mandy poses with her co-stars Chris Sullivan, Chrissy Metz, Susan Kelechi Watson, and Milo Ventimiglia. 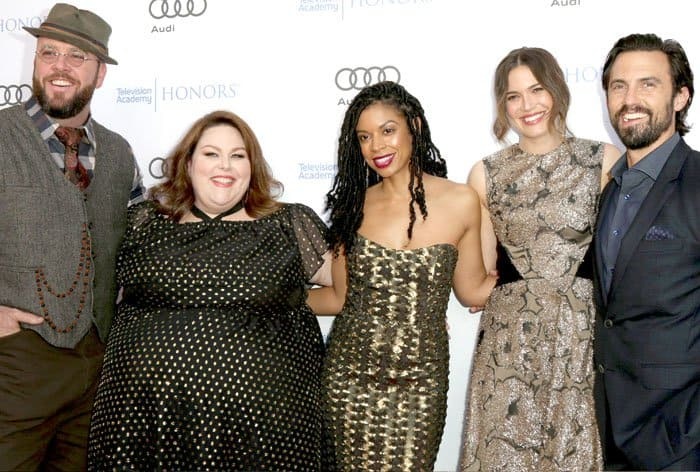 Mandy has always gushed over how great the cast of “This is Us” gets along behind-the-scenes, so we weren’t surprised to see the actress genuinely pose with her co-stars Chris Sullivan, Chrissy Metz, Susan Kelechi Watson and Milo Ventimiglia at the event. 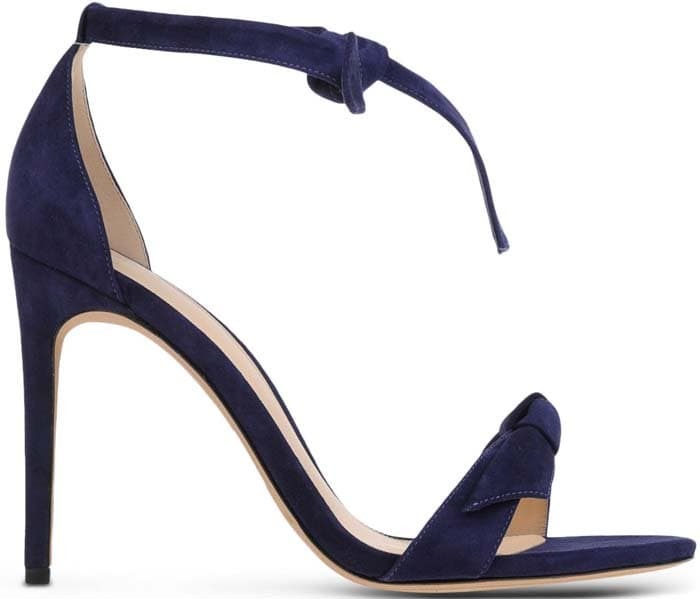 Shop a pair of shoes similar to Mandy’s at Saks Fifth Avenue.